With storing costs as high as 36-40% per year, reducing inventory is at the top of many business owners’ list for overall cost reduction. On the other hand, reducing outages (running out of a particular product) is also a critical area of focus for owners. C&B Equipment has developed a suite of strategies that deal with both horns of the dilemma — helping ensure you stay only as stocked as you need — without missing out on any potential sales. We start by working closely with our customers, gathering information about past usage of parts to estimate usage moving forward. From this data, we then develop a “buffer inventory” (products that are kept available on-hand or in transit to stabilize variations in supply, demand, production or lead time). 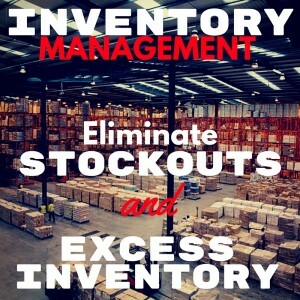 By strategically developing and maintaining a buffer inventory, based directly off of your estimated usage, you can free up valuable space and reduce costs, all while ensuring your customers always have enough. We can do this because we have learned how to drive out non-value-added activities from the supply chain. Oh, and our carrying costs are also lower than most of our manufacturing customers. Let C&B dramatically reduce your standard inventory, even on long lead-time items with our buffer-inventory process.